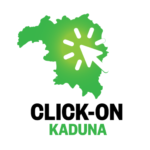 Kaduna Digital Entrepreneurship Incubation Program aims to nurture digital entrepreneurship and create opportunities in Kaduna State by equipping entrepreneurs with the skills and knowledge required to start and grow their digital enterprises. The program provides training, mentorship, peer learning and access to partnerships and investors to innovative entrepreneurs. Participants in the program will be guided and nurtured through a series of activities designed to help the idea stage and young entrepreneurs find their footing and grow.